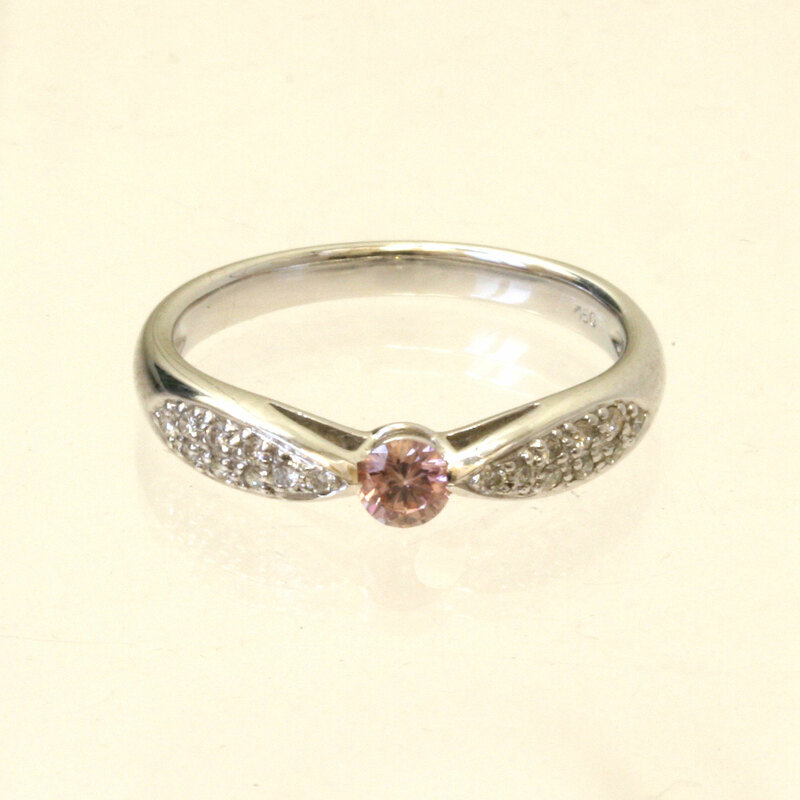 Product code: 837 Categories: Sold Items, Sold Rings. Here is a wonderful diamond ring set with a natural Argyle pink diamond in the centre, bead set with 9 brilliant cut white diamonds on either side. 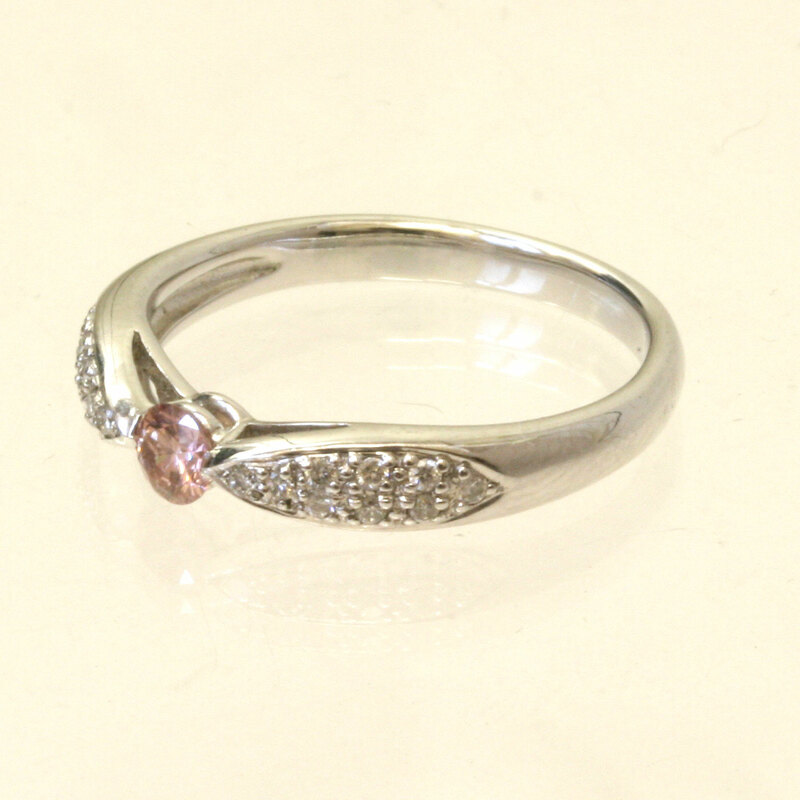 The centre pink diamond measures 0.1939cts, and the white diamonds total 0.15cts giving the ring that extra sparkle. Made in 18ct white gold, this ring is perfect for any occasion, and will make who ever wears it so proud.